The district Lambeth of London in Greater London (England) with it's 6,000 inhabitants Lambeth is located in United Kingdom and is a district of the nations capital. Depending on your travel schedule, you might want to pay a visit to some of the following locations: City of Westminster, City of London, Camberwell, Islington and Camden Town. To further explore this place, just scroll down and browse the available info. Let's start with some photos from the area. 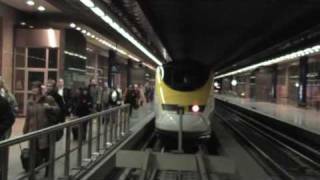 The last Eurostar train departs from Waterloo International Statiom and, the following day, the first Euostars arrive at St Pancras. BMX Southbank, London. 2011 06 26. Bmxer Daniel Frampton. 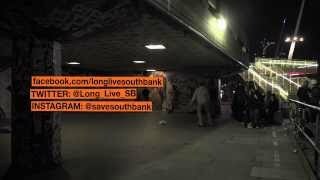 Coming in at 400 pages, the Long Live Southbank book encapsulates the spirit of the community that has resided under the Queen Elizabeth Hall for 4 decades, as well as the 17 month long campaign. The A23 road is a major road in the United Kingdom between London and Brighton, East Sussex, England. It is managed by Transport for London for the section inside the Greater London boundary, Surrey County Council and West Sussex County Council for the section shadowed by the M23 motorway, the Highways Agency between the M23 and Patcham, and by Brighton and Hove Council from the A27 to the centre of Brighton. Located at 51.498, -0.112 (Lat. / Lng. ), about 1 miles away. The Roman Catholic Archdiocese of Southwark (Br) is a Latin Rite Roman Catholic archdiocese in England. The archepiscopal see is St. George's Cathedral, Southwark and is headed by the Archbishop of Southwark. The archdiocese is part of the Metropolitan Province of Southwark, which covers the South of England. Located at 51.4979, -0.108 (Lat. / Lng. ), about 1 miles away. Morley College is an adult education college in London. It was founded in the 1880s and has a student population of 10,806 adult students. It offers courses in a wide variety of fields including science, languages, drama, dance, music, computing, exercise and health and humanities. Morley College is located in the Waterloo District of London, on the South Bank, close to the city's arts centre. Located at 51.498, -0.11019 (Lat. / Lng. ), about 1 miles away. Lambeth Walk is a street in Lambeth, London, England, off Lambeth Road. It was an old street market and housing area. After some bomb damage during the Blitz in World War II on 18 September 1940, the area became rather run down and was subsequently rebuilt. Some older buildings are still present, including the Henry Moore Sculpture Studios, image adjacent. Located at 51.4939, -0.11436 (Lat. / Lng. ), about 1 miles away. Lambeth Road is a road in Lambeth (to the west) and Southwark (to the east), London running between Lambeth Bridge over the River Thames at the western end and St George's Circus at the eastern end. The road is designated the A3203. Lambeth Palace, the London base of the Archbishop of Canterbury and the Museum of Garden History are to the north towards the west by the river. St George's Cathedral Southwark is on the north side. Located at 51.4956, -0.11513 (Lat. / Lng. ), about 1 miles away. 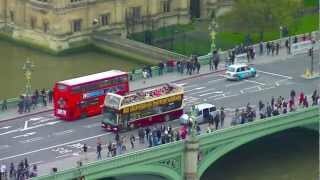 Westminster Bridge Road is a short, but busy, road in London, England. It runs on an east-west axis and passes through the boroughs of Lambeth and Southwark. Between 1740–46, the Commissioners of Westminster Bridge bought land from the Archbishop of Canterbury and ground in Lambeth Marsh from the Lord Mayor and Commonalty of the City of London for the approach to the bridge on the southern Surrey side. This was the start of Westminster Bridge Road. Located at 51.4984, -0.10819 (Lat. / Lng. ), about 1 miles away. Waterloo Road is a road straddling Lambeth and Southwark, London, England. 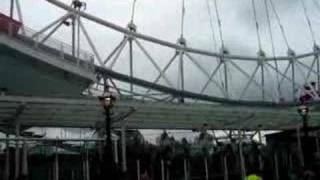 It runs between Westminster Bridge Road close to St George's Circus at the south-east end and Waterloo Bridge across the River Thames towards London's West End district at the north-west end. At the northern end near the river are the Queen Elizabeth Hall and the Hayward Gallery to the west, the National Film Theatre below the road, and the Royal National Theatre to the east. Located at 51.5018, -0.1091 (Lat. / Lng. ), about 1 miles away. Baylis Road is a thoroughfare in Lambeth, London SE1, England running between Westminster Bridge Road to the South-West and Waterloo Road to the North-East. At its northern end Baylis Road continues North-East as The Cut. The Old Vic Theatre is located on The Cut where the roads meet. Waterloo Station is to the north. To the South the road crosses Westminster Bridge Road and continues as Kennington Road. Lambeth North tube station is located at this junction. Located at 51.5003, -0.111111 (Lat. / Lng. ), about 1 miles away. Kennington Road is a long straight road, approximately a mile in length, in the London Borough of Lambeth in London, England, running south from Westminster Bridge Road (at the junction with Baylis Road to the north-east) to Kennington Park Road. The road is designated as the A23. Formerly open land, in 1751, a year after Westminster Bridge was opened, it was constructed by the Turnpike Trustees to improve communication from the bridge to routes south of the river Thames. Located at 51.494, -0.11088 (Lat. / Lng. ), about 1 miles away. St George's Road is a road in Southwark, London running between Westminster Bridge Road to the northwest and Elephant and Castle to the southeast. Its name derives from its crossing of St George's Fields, being an open rural area of the parish of St George the Martyr, Southwark. Located at 51.4961, -0.10477 (Lat. / Lng. ), about 1 miles away. Hercules Road runs north from Lambeth Road near Lambeth Palace, on the site of Penlington Place, in the London Borough of Lambeth, south London, England. The road is named after Hercules Hall, which was built by and was the home of Philip Astley (1742–1814), riding instructor, horse-trainer, and acknowledged as the inventor of the modern circus. Located at 51.4967, -0.114722 (Lat. / Lng. ), about 1 miles away. West Square is a historic square in south London, England, just south from St George's Road. The square is within the London Borough of Southwark, but as it is located in postcode SE11, it is commonly said to be in Lambeth. Immediately to the west is the Imperial War Museum. To the south is the Imperial War Museum Annex (which used to be an orphans' home) in Austral Street. Located at 51.4953, -0.105556 (Lat. / Lng. ), about 1 miles away. London's Centre for Young Musicians, or CYM, is a Saturday music centre for children up to 18 who play an instrument, currently run by Stephen Dagg. Anyone other than an absolute beginner is eligible for it, although there is an audition process. A standard timetable consists of a 30-minute lesson (some students have a 45 or 60 minute lesson), choir, musicianship, and where applicable, an instrumental ensemble. Located at 51.4979, -0.109976 (Lat. / Lng. ), about 1 miles away. Notre Dame High School is an all-girls' Roman Catholic comprehensive school situated in Elephant and Castle, in south London in the UK. Girls attend the school from ages 11–16. The current headteacher is Sister Anne Marie Niblock, SND. Previous Headteachers include Sister Myra Poole, SND and Sister Rosemary O'Callaghan, SND. Sister Rosemary O' Callaghan is now acting as the school chaplain. The school was founded by the Sisters of Notre Dame de Namur. Located at 51.4969, -0.1062 (Lat. / Lng. ), about 1 miles away. The Lincoln Memorial Tower or Lincoln Tower is a Gothic revival tower in London, housing small meeting rooms, that was opened in 1876 in memory of Abraham Lincoln, and paid for partly by Americans. Once part of a complex of nineteenth century philanthropic institutions sited alongside a Congregational chapel, it is all that now remains of the original design. Located at 51.4984, -0.11191 (Lat. / Lng. ), about 1 miles away. Christ Church, Lambeth, was founded by the Rev Dr Christopher Newman Hall in the 1870s as a Congregational chapel forming part of a complex of new mission buildings, including the Lincoln Tower and a new premises for Hawkstone Hall. On Newman Hall's retirement, it passed to F.B. Meyer. Christopher Newman Hall's Christ Church took its congregation largely from his previous chapel, the famous independent Methodist and Congregational Surrey Chapel that had been founded by the Rev. The Marine Society College of the Sea is a distance learning further education college for those who make their living at sea. The college is owned and operated by The Marine Society, and is located at 202 Lambeth Road, in the London Borough of Lambeth. Located at 51.4955, -0.1164 (Lat. / Lng. ), about 1 miles away. The Feminist Library was founded as the Women’s Research and Resources Centre in 1975 by a group of women concerned about the future of the Fawcett Library to ensure that the history of the women's liberation movement survived. Located at 51.4985, -0.1055 (Lat. / Lng. ), about 1 miles away. Geraldine Mary Harmsworth Park is a public park in Southwark, south London. 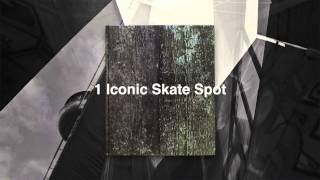 It is maintained by the London Borough of Southwark and bounded by Lambeth Road, Kennington Road, St George's Road and Brook Drive. Located at 51.4962, -0.109886 (Lat. / Lng. ), about 1 miles away.